KEN YUSZKUS/Staff photo. 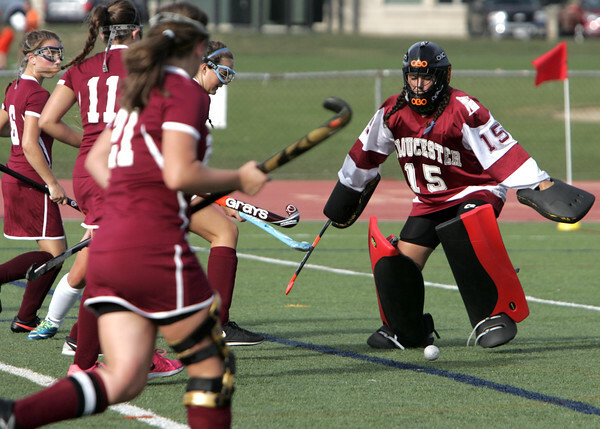 Gloucester's goalie Taormina does not let the ball get by her during the Gloucester at Beverly field hockey game. 9/28/15.